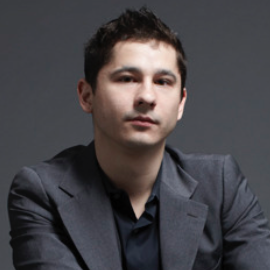 The New York Times described the New York based pianist and Grammy-nominated artist ELDAR DJANGIROV as "a blend of musical intelligence, organizational savvy, enthusiasm and prowess that was all the more impressive for seeming so casual... an ebullient impressionist." Dr. Billy Taylor said, "Eldar Djangirov's playing shows brilliancy, complexity, and discipline... he's serious about his music, he's thoughtful about what he does. Jazz Times said, Maybe he made a pact with Lucifer to be the greatest pianist ever." Praised as a genius beyond most young people I've heard by Dave Brubeck. Downbeat magazine stated that "his command of his instrument is beyond staggering." Born on January 28, 1987, Eldar came to the U.S. from the former Soviet Union when he was ten. Among his first performances were in his hometown of Kansas City, as well as The Interlochen Center for the Arts in Michigan. He quickly then moved up the ranks and was featured on the NPR Marian McPartlands Piano Jazz show at the age of twelve. He released two albums independently. Eldar signed with Sony and recorded his major label self-titled debut featuring the great bassist, John Patitucci, and Michael Brecker on tenor sax. He followed up with the critically acclaimed "Live at the Blue Note" with guest appearances by Roy Hargrove and Chris Botti in 2006. Eldar was nominated for a Grammy in 2008 for his album "Re-imagination."